Stunt Driving is a Strict Liability Offence in accordance with the Supreme Court of Canada’s classification of regulatory offences. Accordingly, the defences of Due Diligence and Reasonable Mistake of Fact are available to those accused with Stunt Driving / Racing. Is stunt driving a criminal offence – Illegal Street & Drag Racing Charges? There are exceptions, but generally most prosecutors are not willing to reduce this offence to a lesser one! The most common offer from the prosecution is that if you plea guilty as charged to the offense of “Stunt Driving” they will agree to ask for a fine. 1. Immediate roadside suspension of your Driver’s Licence for 7 days. Seven days seizure of the vehicle that you were driving, regardless of who owns it. This also means that if the vehicle is a rental, you will be responsible for an additional 7 days of rental fees. To get the vehicle back, you will have to pay towing charges and storage fees for the seven days that could cost thousands of dollars. 3. Licence suspension up to 2 years (for a Second Offence – up to 10 years Licence Suspension) or, if your licence is not suspended, you will automatically receive 6 Demerit Points from the Ministry of Transportation. At the end of your driver’s licence suspension, you will have to pay $150.00 to the Ministry of Transportation to get your driver’s licence back. 4. Jail sentence up to 6 months. 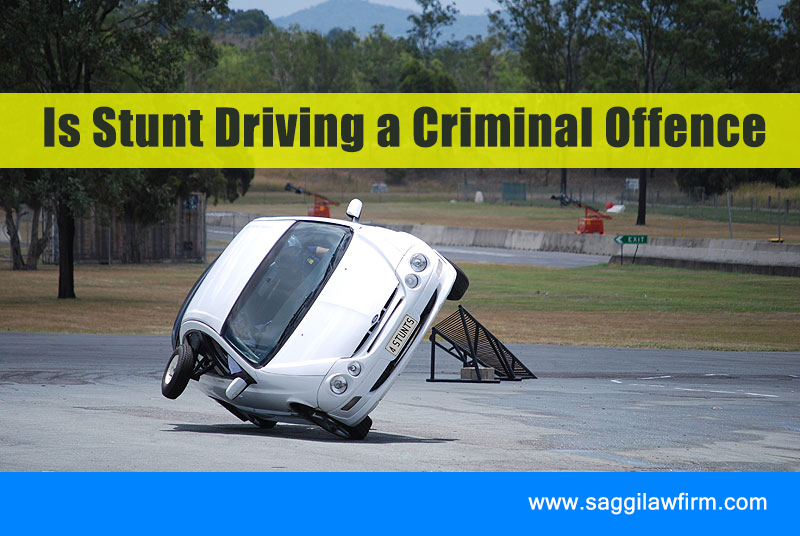 Is stunt driving a criminal offence & penalties explained by a defence lawyer? ** Driving a motor vehicle 50km/h over the posted speed limit. ** Driving a vehicle with the intention to spin the vehicle without maintaining control of it. ** Driving a motor vehicle while there is a person in the trunk. Browse Here to get more information about Criminal Harassment Cases In Brampton.